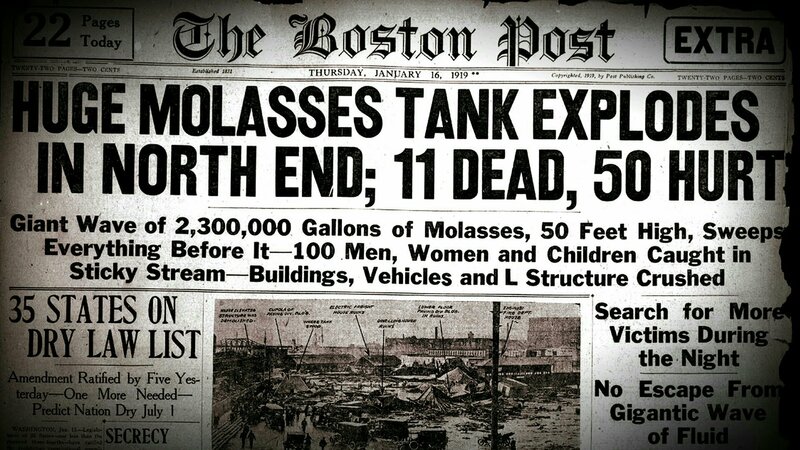 On January 15, 1919, 2.3 million gallons of molasses broke violently from a compromised 50-foot steel holding tank causing an 8-15 foot wave to engulf everything and everyone around it. The liquid mass weighed about 26.5 million pounds and is reported to have traveled at about 35 miles per hour. The sheer weight of the liquid on that unseasonably warm day caused a fire station to be knocked over, rail road cars to be knocked over, and an elevated rail line to be knocked over. An entire city block was sacrificed. Some workers drowned in a cellar nearby with no hope of escape. All-in-all, 21 people died and dozens of horses. In the midst of tragedy, people will often either cry out to God or blame God. These are natural reactions to grief. The late Walter Martin debated an atheist on a radio many years ago. During the debate, Martin intellectually “endowed” his atheist opponent with all of the great-making attributes of God and asked him to solve the various problems of evil. “How would you solve the problem?” asked Martin. The atheist opponent could not solve the various problems of evil of course. Why would God allow suffering and not intervene to produce happiness in this situation (cf. David Hume)? While God could change the laws of nature (e.g. He could have changed the molasses into flowers or fresh air), God opts for regularity in nature (cf. John Hick). Our intuitions are inclined to make the suffering seem gratuitous (cf. William Rowe). However, we don’t have access to know why God may have allowed such actions (cf. William Lane Craig, Wykstra’s CORNEA, William Alston). There were about 85,000 man-hours dedicated to cleaning up the Boston Molasses Disaster. God may allow for the above type of suffering for “soul-making” purposes to those who suffered and those who served the suffering (cf. Richard Swinburne). There are laborers that worked as God’s hands and feet in this cases. Charles Spurgeon once said, “Men will never become great in divinity until they become great in suffering.” (Sermon: “The Christians Heaviness and Rejoicing”). Additionally, maybe it is the case that God necessarily suffers and suffers alongside us (cf. Marilyn McCord Adams). If this is the case, may we take comfort in the fact that God is with us as we suffer and serve the suffering. Spurgeon says, “Our infirmities become the black velvet on which the diamond of God’s love glitters all the more brightly.” (Sermon: “A Wafer of Honey”). Next What is God Like?